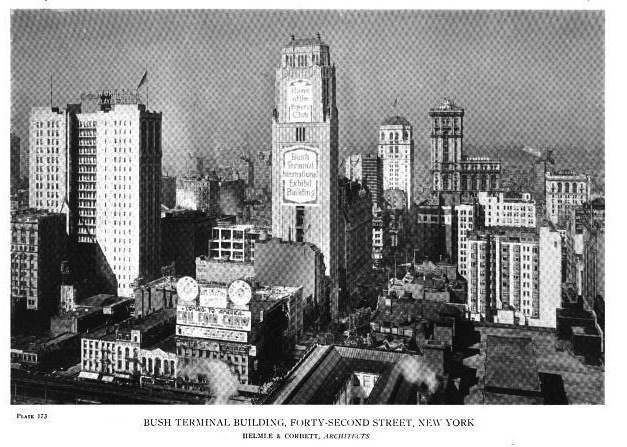 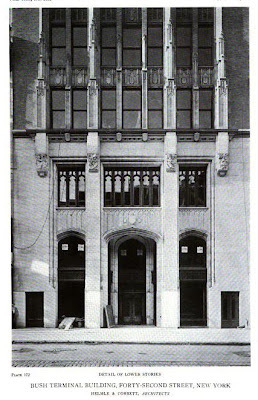 The Bush Building or Bush-Terminal Building designed by Harvey Wiley Corbett of Helmle & Corbett c. 1916 on West 42nd Street in New York City. 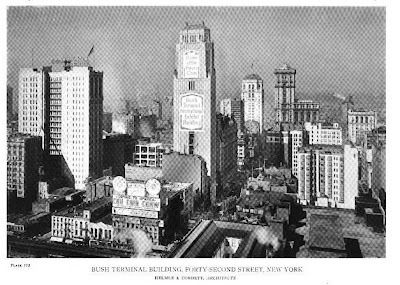 Irving T. Bush, owner of Bush Terminal in Sunset Park, Brooklyn, conceived the building to provide office and showroom space to his terminal tenants. Click HERE for more on the Bush Building and HERE to see it on google earth. Click HERE for Christopher Gray's Streetscapes article on the Bush Building. 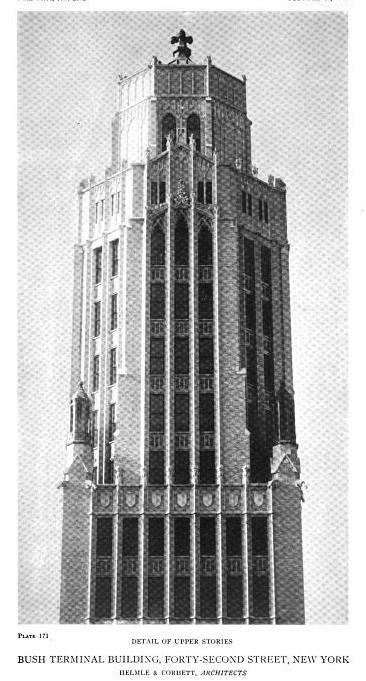 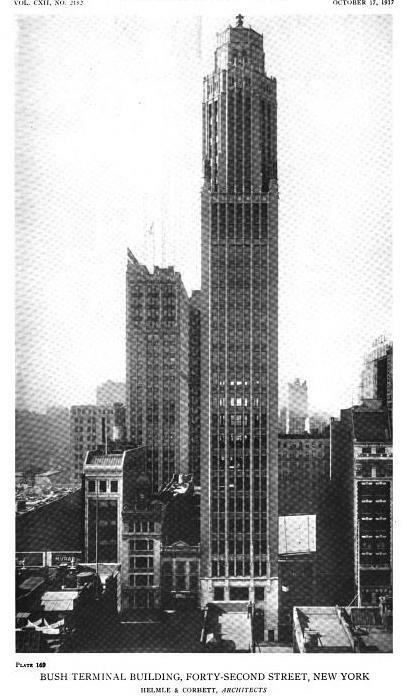 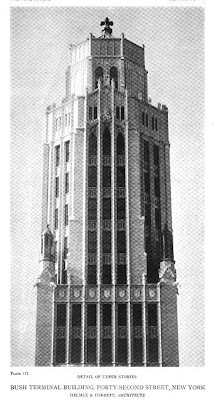 Photos from The American Architect, 1917. 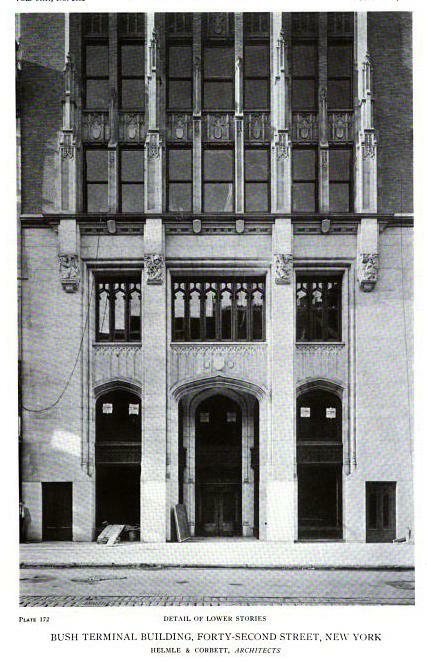 One of the few "front facade" only buildings, typically constructed mid-block, that actually addressed the other 3 walls, although one could do without the giant painted advetising. 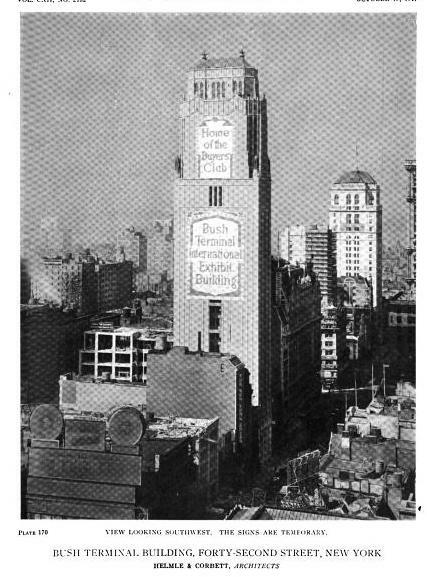 Hopefully after many years and proposals for renewal the forlorn Bush building will get a second chance.